Our next DXpedition will take place from Melilla between March 15 and 22, 2017. We will be active with two stations from 160m through 10m on CW, SSB, RTTY and PSK31. Please check our News Page. If you prefer a direct QSL please send a SASE or SAE with 1 new IRC or 2 US$ for a international letter. When sending IRC's please check the expiration date, the new ones are valid until the end of 2017. Any donations are very welcome and needed for the high shipping costs. Postage needed for 1 envelope with 20 Gramm (FYI): A letter within DL = 70 Euro Cent, a international letter costs 90 Euro Cent. 1 US$ is equal to 85 Euro Cent. So please keep in mind that 1 US$ - due to the bad exchange rate between the US$ and the Euro - does not cover the postage needed for an international air mail letter! Melilla is a spanish autonomous city located on the north coast of Africa. Climate: Melilla has a warm mediterranean climate. Melilla is one of two permanently inhabited Spanish cities in mainland Africa. 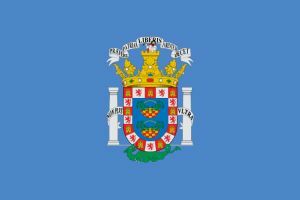 It was part of Málaga province until 14 March 1995 when the city's Statute of Autonomy was passed.